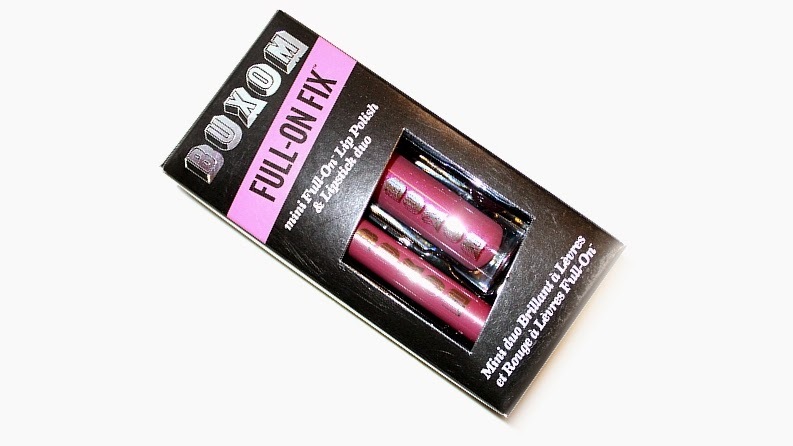 Buxom Full-On Fix retails for $18 USD ($23 CAD) and features two deluxe sized products, a lip gloss (0.07 oz.) 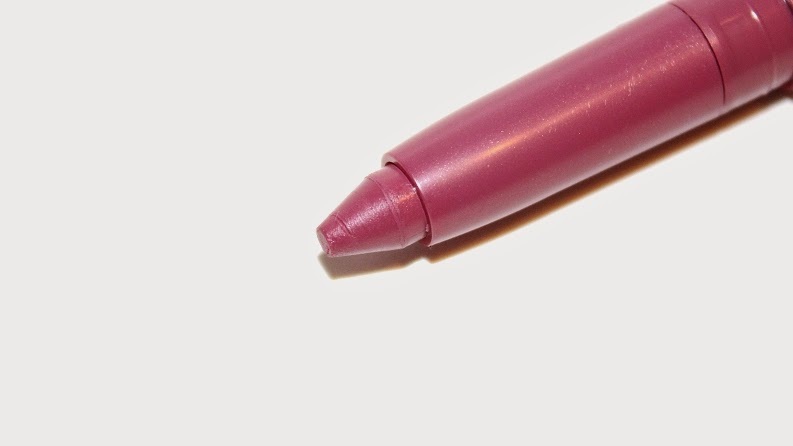 and lipstick (0.015 oz.) It is said to be "a mini Full-On Lip Polish and Lipstick duo." 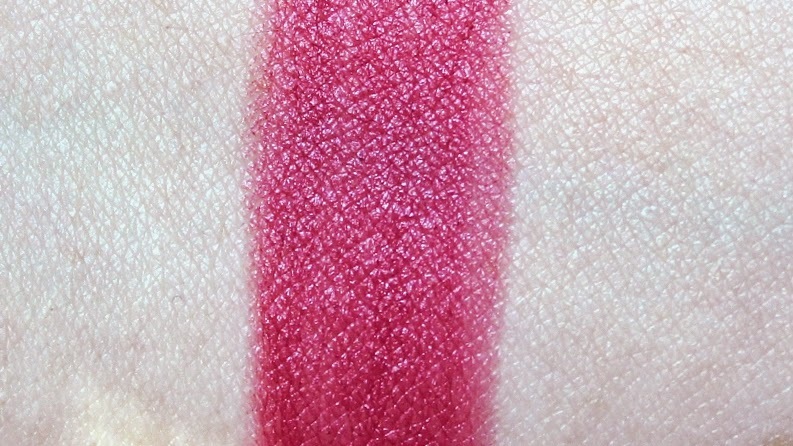 * Jennifer Lip Polish is described as a flirty fuchsia. 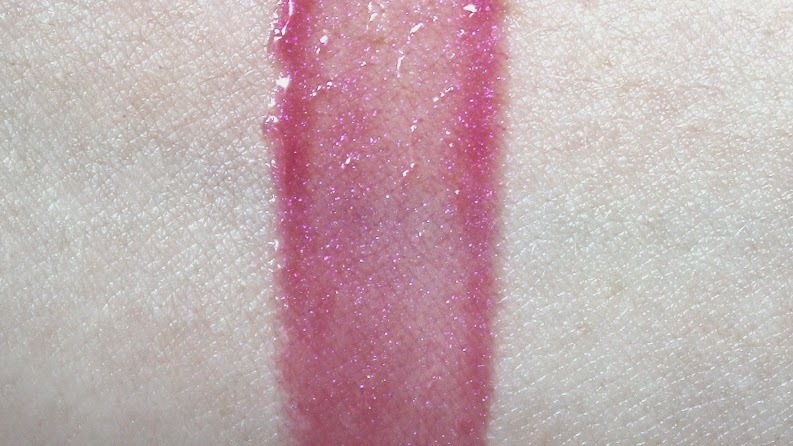 * Acapulco Lipstick is described as a rich lilac. 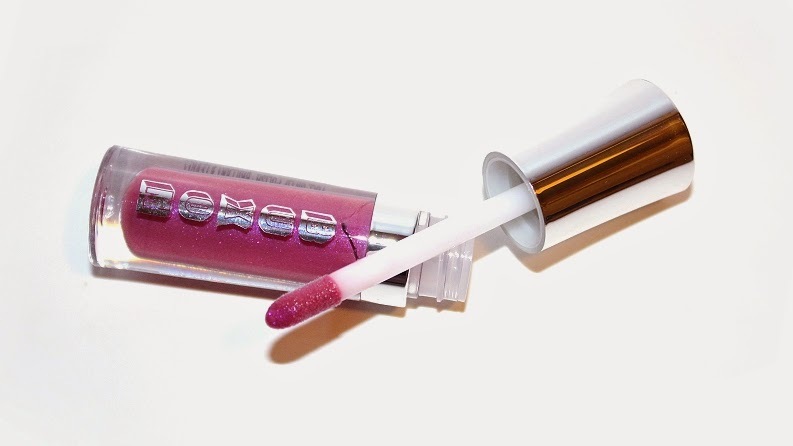 "Pucker up for this flirty fuchsia and luxe lilac lip duo. Sheer, shimmering gloss and creamy, matte lipstick deliver lip-plumping color with a refreshing tingle. Vitamins A and E help keep your lips soft, smooth, and protected." Jennifer is described as a flirty fuchsia. 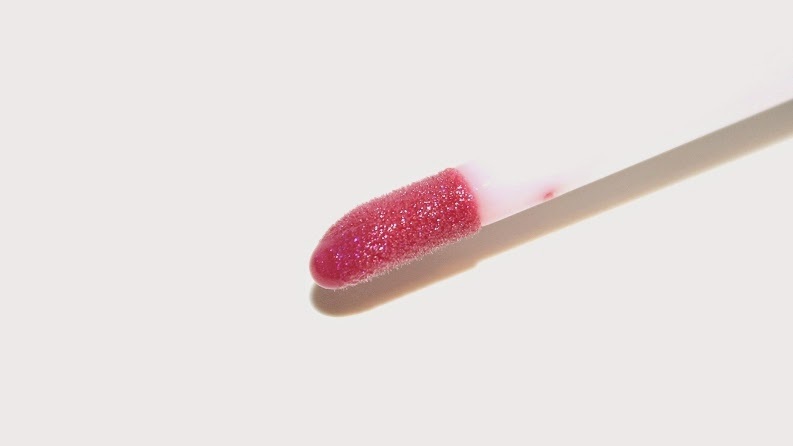 It is said to be "a shimmering lip gloss with a tingling, pout-plumping effect." Acapulco is described as a rich lilac. 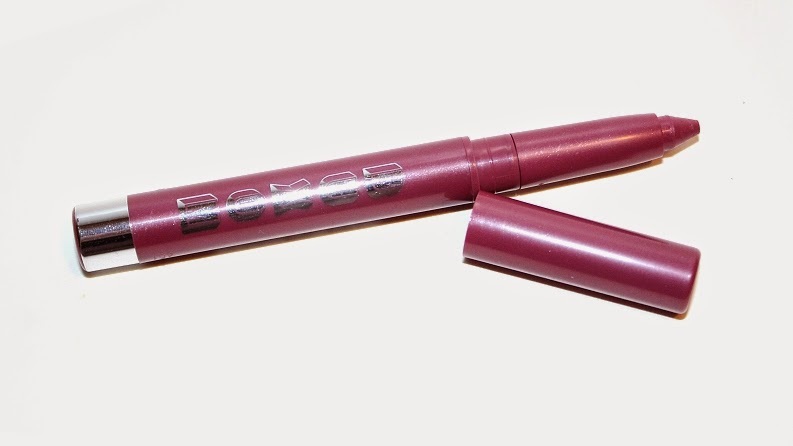 It is said to be "a tingling, three-in-one lip perfecter." 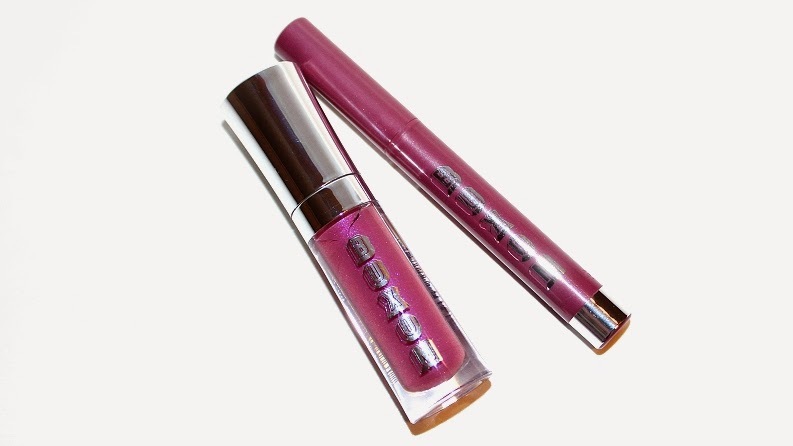 Paired together these two products leave a nice plum, berry color to your lips with a glossy, high-shine finish. They compliment each other very well and last +5 hours when layered. Buxom is mostly known for their plumping action and since both these lip products have that plumping effect, when paired together they leave your lips looking plump, full and any fine lines found on your lips completely disappear! The nice thing is the plumping is subtle and nothing too extreme. 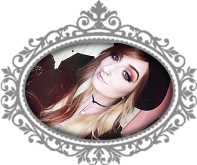 You can tell a difference in the size of your lips and you can definitely feel the minty tingle, but your not left feeling like your lips have become Jessica Rabbit's, ha ha! Overall, it's a nice value set and you're getting two products for the price of one. The best part is, the deluxe products are generous. You're getting exactly half the amount of the product in each. The colors compliment each other and the set is a nice, muted summer-to-fall combination that anyone could pull off! Available now at Sephora online and in-stores!